Stenhousemuir made only one change to the starting eleven from the previous week with Ross Smith returning after suspension and he returned to the centre back position in place of the injured David Rowson. The Warriors were hoping to get back to winning wins at Ochilview against an Ayr United side that does not appear to enjoy the surroundings as they have a poor record there in recent years against both Stenhousemuir and East Stirlingshire. With confidence high amongst the supporters after the Ramsdens Cup win against Dundee there was an expectation rarely seen at Ochilview that a victory was likely. It comes as no surprise though that Ayr didn’t read the script and indeed inflicted an uncomfortable day on the Warriors faithful to such an extent that the main emotion was relief when the final whistle blew with the points shared. It was not a case of the players being complacent in their play though but more a case of a number of players having an off day at the same time. Ayr showed their intent in the fourth minute when player-manager forced a save from Chris Smith with the keeper showing good hands to prevent the predatory Michael Moffat taking advantage of any spill. Stenhousemuir came close with a Sean Lynch effort from just outside the box but Ayr were more threatening and Craig Malcolm had a shot saved before an Adam Hunter effort was almost turned in by Moffat. The Warriors were showing some nice touches but were struggling in converting their play into chances and play was breaking down too often mainly through the flag being raised for offside. Eventually they created an opening in the 20th minute when Kevin McKinlay, Darren Smith and Sean Higgins combined to open up the Ayr defence but Higgins failed to get any power into his shot and it was comfortably saved by David Hutton. Apart from a Ross McMillan header that went wide from a Brown Ferguson corner that was that for Stenhousemuir in the first half. Ayr in contrast scored once and should have had more in the last five minutes of the half. They scored in the 41st minute after the static defence failed to close Ayr down and when the ball was played to Roberts at the left edge of the box he struck a fine shot into the keepers left hand post. This was followed by a Robbie Crawford effort that was blocked for a corner by Ross Smith before Crawford took advantage of lax marking to ping an effort off the post but luckily for Stenhousemuir it went out for a goal kick. Ayr continued on top in the second period and Crawford once again threatened with acurling shot that went just over. They were getting through the Stenhousemuir midfield at will and the Warriors had Ross McMillan to thank for three blocking tackles in quick succession the best being a sliding block on Moffat as he was about to shoot in the 56th minute. There was bewilderment amongst the Stenhousemuir support when McMillan was subbed shortly after this as he didn’t appear to be injured and received no treatment. It transpired that he was ill and it was an enforced substitution. Stenhousemuir were still playing in fits and starts and they almost equalised in the 68th minute when a Ross Smith header from a Ferguson corner was pushed out but McKinlay shot wide. It was still a shock though when the Warriors drew level in the 71st minute when a Sean Dickson pass was flicked onto Daren Smith who had beat the offside trap and he took full advantage to place the ball past Hutton. Ayr tried to shake things up by introducing ex-Scotland player Kevin Kyle and though he brought a different dynamic to the forward line and occasionally brought problems for the Stenhousemuir defence he probably was easier to deal than players running into the wide areas as he still is to get up to full match fitness. Stenhousemuir were given a lift by this strike and Ross McNeil and John Gemmell forced Hutton into saves as the home side sought to find the all important second goal. Ayr were not out of it though and send a reminder of their threat when Chris Smith made a fine save from a Scott McLaughlin free kick in the 82nd minute. With the game into stoppage time Darren Smith looked as if he was would score the winner when a shot from close range looked goalbound but a superb instinctive save by Hutton kept the scores level when a lesser keeper would have conceded a goal. All in all a difficult day at the office for Stenhousemuir but they came out of it with a point when on another day they could have quite easily lost. 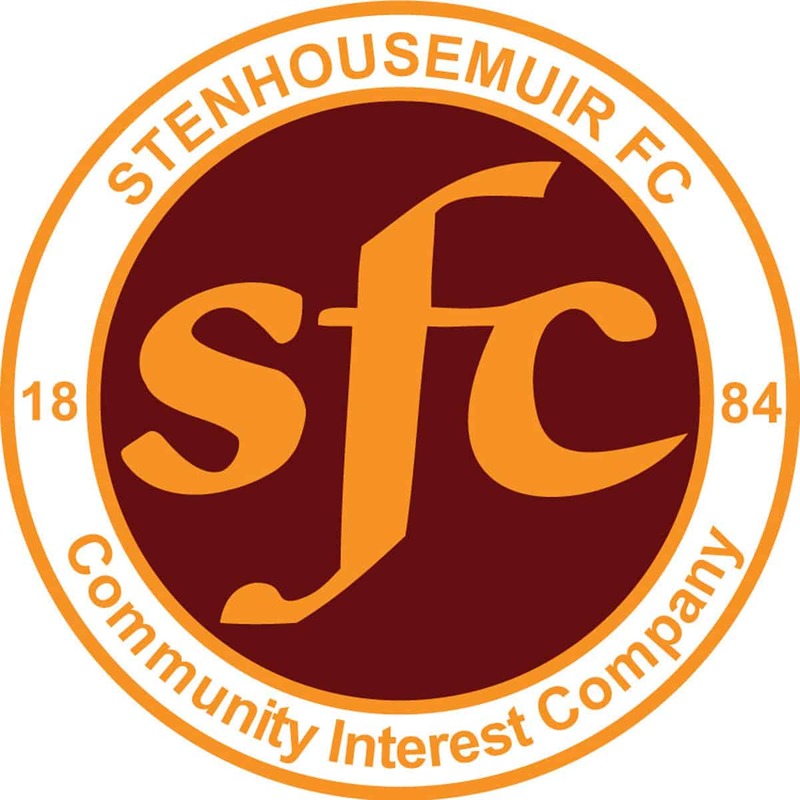 Stenhousemuir – C.Smith, Devlin, McKinlay, R.Smith, McMillan [Malone 62], Lynch [Anderson 54], Dickson, Ferguson [b81], Gemmell, Higgins [McNeil 70] and D.Smith. Subs not used – Shaw and Douglas. Ayr United – Hutton, Hunter, Donald [b78], McLaughlin, Lithgow [b48], Crawford [b65], McGowan, Marenghi [b77], Moffat, Malcolm [b33] and Roberts [Kyle 71][t]. Subs not used – Shankland, Wylie, Longridge, Wardrope, McArthur and Muir.